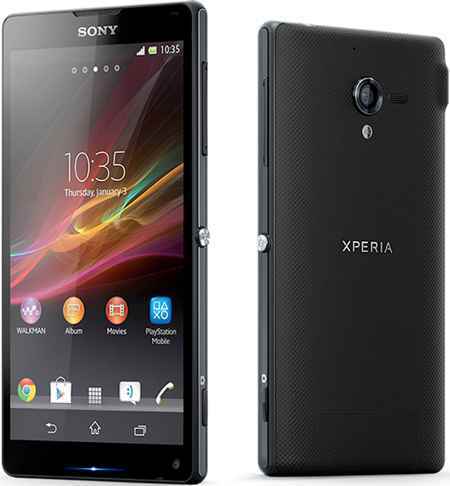 Sony Brings Xperia ZL to the U.S.
Sony has introduced its high-end Xperia ZL smartphone in the U.S. market. The new phone sports a 5-inch screen, runs Android 4.1 (JellyBean), has a 13-MP back camera and is available in three colors (red, black and white). Xperia ZL comes in two unlocked models, the C6506 costing $759.99 and the C6502 for $719.99. The phone will initially be peddled at the Sony Store and later through other select online retailers. Sony did not say if any of the carriers would offer the Xperia ZL. Sandwiched between the Apple iPhone 5 and the upcoming Galaxy S4, Sony has little chance of gaining traction with the Xperia ZL in the U.S.
Samsung’s recently announced Galaxy S4 has gained all the buzz and will be available in the U.S. in the second quarter. Adding to Sony’s disadvantage, the Xperia ZL is running the older Android 4.1 software compared to the 4.2.2 software that the Galaxy S4 will sport.